Tracker Jack Daniels,58780 had the most liked content! Is the first purse pictured still for sale? What are the dimensions, do you know who made it? 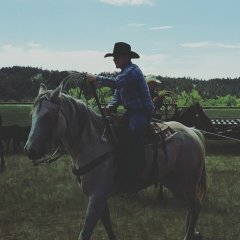 If the grip is even with the top of the belt it would be legal for every category except Classic Cowboy, which must be above; or B-Western, which it must be below. Know of shooters who believe when it is even they are good to go in any category. The progressive penalty for not complying with category requirements cures this when they try to shoot CC or BW. I do not have any experience with the Winchester but I have a Browning B92. That little carbine is a sweet shooter and very easy to handle. I used it with 38 special loaded to 1.589 COL and was very happy with its smoothness and accuracy. Then my wife started to shoot, and now it is her main match rifle. She lets me take it out hunting whitetails and coyotes, and then I use full house 357 loads. I have put deer and yotes down out to 80 yards. I think the rifle my be able to shoot farther, but I am not comfortable enough to do so with open sights. Just my experience. First off go to the doctor to ensure that it is indeed tennis elbow. I know this from sad experience. I worked with my doctor and physical therapist for six months trying to get relief from tennis elbow, without any success. They sent me to an orthopedic specialist, after an MRI he thought I had a damaged tendon that needed to be fixed. When he got in there he found that the group of three tendons that control the wrist were detached. The only reason things still seemed to work was that the muscles in my arm were strong enough to trap that tendon against the bone and keep the wrist working. The only symptoms were pain like that caused by tennis elbow, and a reduction of strength and stamina in that arm. The surgeon said he had never seen that before, and was very surprised to find that when he went in to scrape the tendon. There are a wide variety of wraps and braces available for reducing/eliminating elbow pain, your doctor should be able to tell you which will best meet your needs. Need to update this list, there are names missing. Not everyone thinks to check on the main SASS page for this information. Five second penalty for hitting a rifle target with the revolver. Then a "P" for incorrectly engaging the rifle targets. Total of 15 seconds penalty time. There was no miss with the rifle, shooter engaged the dump target 10 times instead of the 9 times called for by the stage instructions. Pale Wolf beat me to the answer. He sure is quick this morning. Ever Wonder What's Under That Red Uberti Wood Finish? Yellowhouse, that is what I had always thought. But she said that she does not want a shiny finnish on her rifle. So she did some research and came up with linseed oil. I am not about to argue with her. I am just elated that she wants to start shooting with me. Already got her an '87 shotgun, going to order a set of SASS Vaqueros, and had her old beat-up B92 sent out to be hard chromed. Before that I had Huckleberry do an action job on it, now it runs as smooth as oil on glass. Next I am going to find a Chiappa "87 and have Lassiter work it over, and have it hard chromed. Then the CIA '87 she has now can be her backup. Thanks OLG, I am in the process of refinishing the stock and forearm of a B92 for my wife. I had intended to use tongue oil, however she brought home linseed oil. She says she read that Winchester used that to finish the stocks on their long guns. I have never worked with linseed oil and was at a small loss as how to proceed. Outlaw Gambler usually has them on hand ready to go. 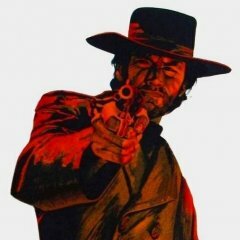 Classic Old West Arms, is on the internet. Thanks J Bar, that was just what I was looking for. Now I can make the wife a happy lady! The front barrel band is in front of the front sight and has a screw, that one makes sense. The rear barrel band is about in the middle of the forearm and it does not have a screw, looks like maybe a pin? How does that come off? Looking for some advise, before trying to take it apart. I recently had a B92 carbine hard chromed for my wife to use next year when she joins us on the firing line. We just got the gun back from Outlaw Gambler and it is gorgeous, except for the scratched up stock and forearm. My wife would like me to strip off the old finish and redo the stock and forearm with a flat tounge oil finish. I know how the stock comes off, but have no experience with removing the forearm, so I am hoping someone here can give me guidance. The dues structure is not the entire reason for members leaving SASS and just shooting monthly matches as unaffiliated shooters. In the past several years the Wild Bunch has been seen by many as trying to push shooters away. I know many shooters who no longer maintain their SASS membership, and will list their reasons. 1. Saying that match directors and people who set up and organize matches are cheaters if they shoot that same match. This comment and attitude resulted in the loss of many good workers and shooters. Some still shoot, but don't pay membership anymore. I tried to discuss this with Tex one night at a match, he was very rude and would not discuss the issue. 2. The disrespect shown to the Territorial Governors over the open and empty rule. For the WB to step in and over rule the TG's, showed great disrespect for the membership. Some shooters who left over this have returned, but many have not. When I wanted to become our club's TG some shooters asked if I was nuts for wanting to deal with an organization that does not respect its members. 3. The disrespect shown for shooters who wear jeans. The SASS rules allow jeans, yet members of the Wild Bunch have stated time and again that wearing jeans is not "cowboy". 4. The big jump in dues. Sure dues had not increased for many years, however the increase could have been eased in over two to three years. That way hardly anyone would have said a thing. 5. The loss of the monthly printed Cowboy Chronicle. This was seen by many as the main benefit for joining SASS and paying yearly dues, taking it away caused them to just quit paying dues. The new quarterly came too late to be of benefit; it should have been done in conjunction with the elimination of the monthly. I hope this answers the questions of why people no longer pay SASS dues. 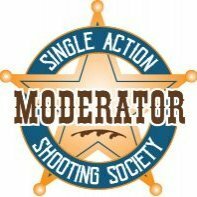 They still show up at monthly matches and support the local clubs, just do not shoot at SASS sanctioned (State and Above) matches.